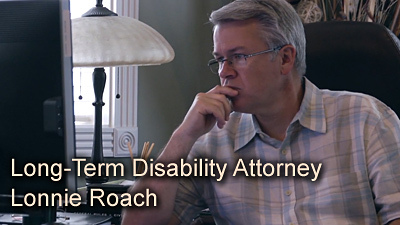 Lonnie Roach, a partner in the Austin law firm Bemis, Roach & Reed, has successfully assisted hundreds of clients who have been denied long term disability benefits. These clients have suffered from many different conditions and injuries. A Lubbock-area client suffered from degenerative joint disease of the right hip and left heel. He had a history of osteoarthritis and multiple orthopedic surgical interventions including right ankle repair, lumbar fusion, right rotator cuff repair, and left calcaneal fracture. He also had a Class 1 heart disease. Medical records supported sedentary restrictions and limitations; our client was not expected to improve. He had a limited ability to sit, stand, or walk, only capable of doing those activities 33% of the time or less. 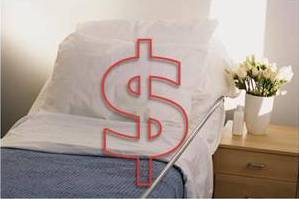 Accordingly, the client’s treating physician stated that he would not ever be able to engage in full-time employment. The Social Security Administration (SSA) agreed. Reliance Standard denied his claim in spite of this, but benefits were reinstated after we appealed. Another client was a field sales representative living in Paige, Texas. He suffered a branch retinal arterial occlusion (stroke) in his right eye, permanently impairing his field of view. Both his treating physician and Aetna’s reviewing physician agreed that he should not be employed in a position that required driving. Because his occupation required extensive driving, the client was forced to stop working and apply for long term disability benefits. Aetna, nevertheless denied his claim. We filed a federal lawsuit and successfully overturned Aetna’s denial. A Greenville, Texas client’s MRI showed abnormal signals in both frontal lobes of his brain, demonstrating active, demyelinating disease; lab reports showed spinal fluid and findings positive for oligoclonal bands, as well as a definitive Multiple Sclerosis diagnosis by a neurologist. He had a left visual field loss, left-side body weakness, numbness and nausea, and required a cane or walker to walk. In addition, our client experienced memory problems. At the time his claim was denied, Prudential wrote that he did not have a diagnosis that supported his subjective complaints. We convinced them otherwise and benefits were reinstated. A client from Round Rock was diagnosed with pancreatitis. By 2009, he was on eight medications, including Hydrocodone and Fentanyl. He could not operate a motor vehicle in the course and scope of employment, as required by his occupation, while under the influence of the narcotics he needed to take. He was awarded SSDI benefits, however, Reliance Standard denied his claim. Under appeal, we were able to his benefits reinstated. Another client from Round Rock had congestive heart failure, uncontrolled arrhythmias, and a surgically implanted pacemaker. This previous heart condition was later complicated by a paralyzed diaphragm that caused chronic Pulmonary Insufficiency. The client was determined to have a Class 5 physical impairment by her treating physician, a Board Certified Cardiologist. She was similarly certified as suffering a Class 5 physical impairment by a Board Certified Pulmonologist. She satisfied Social Security’s criteria for total disability under at least three separate sections. Her pathology was demonstrated by multiple, objective tests and she had been certified as totally disabled by a cardiologist and a pulmonologist. Despite all of this, Sun Life denied her claim. We handled her appeal got her benefits reinstated.